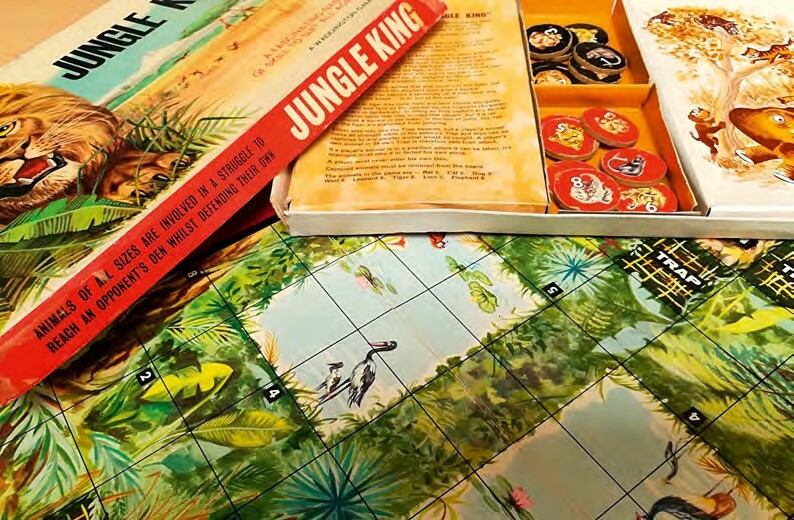 Jungle King was a small-scale title published by board game giant John Waddington Ltd in the 1950s. When I first played Jungle King I knew nothing of its true origins. 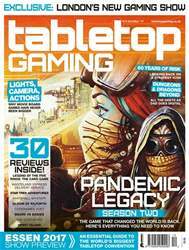 Rather predictably from the game’s title it comes in a box with a majestic lion pictured on the front and the subtitle: “A fascinating game of skill to suit all ages.” Inside the box you will find more impressive artwork for a game of this era. The board is a grid of seven by nine squares over an elaborate jungle scene and there are two pools of water in the centre. At each end of the board is a “den” which is surrounded on three of its sides by “trap” squares. The game also comes with eight thick cardboard counters that represent different animals, with a picture and the number assigned to each creature.